This study proceeds historically, from the origins of the Eucharist up to our own day. 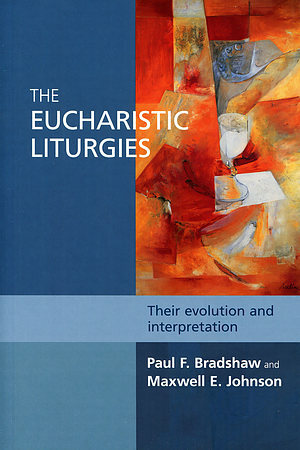 Unlike most studies of this kind, it includes an introduction to and developmental summary of the diverse Eucharistic liturgies of the Christian East. It also explores the various Western rites (Ambrosian, Gallican, and Mozarabic) in addition to the Roman. With regard to theological themes, the authors give special attention to the topics of real presence (including the "consecration" of the bread and wine) and eucharistic sacrifice, the most central and most ecumenically challenging issues since the sixteenth-century Reformations. Making the book especially teacher- and student-friendly are the summary points at the end of each chapter. Each chapter also contains an abundance of liturgical texts for ease of reference. 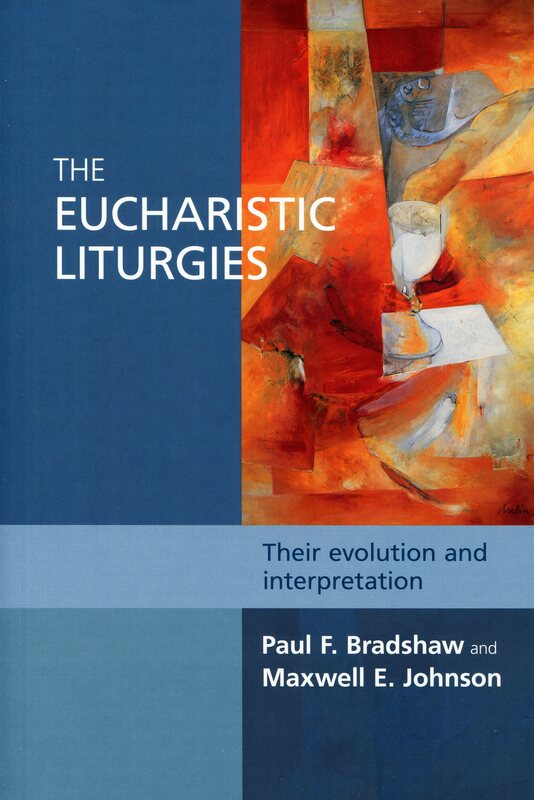 The Eucharistic Liturgies by Maxwell E. Johnson; Paul F. Bradshaw was published by SPCK in June 2012 and is our 33707th best seller. 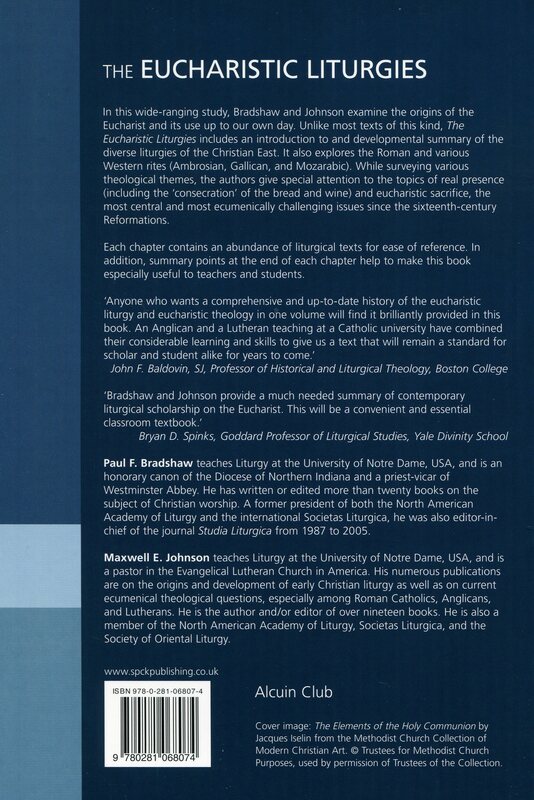 The ISBN for The Eucharistic Liturgies is 9780281068074. Be the first to review The Eucharistic Liturgies! Got a question? No problem! Just click here to ask us about The Eucharistic Liturgies.